​This tour can be combined with our Marvelous Mozambique! tour - see details by clicking HERE. Click on the link below for a detailed Madagascar itinerary and registration form. This wonderful country is home to some of the world’s most unusual wildlife. Madagascar is the world’s fourth largest island, often referred to as the “Eighth Continent” and it is here that we will start our epic journey in search of the many endemic birds and mammals. Madagascar offers unparalleled endemism with over 100 true endemic birds and five endemic bird families, which include the Ground-Rollers, Cuckoo-Roller, Mesites, Asities and Vangas. 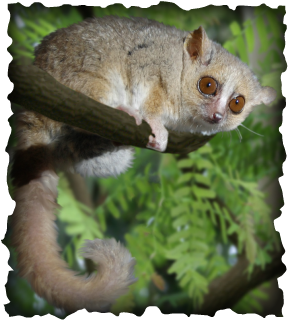 Lemurs are one of the star attractions and we will find many, both diurnal and nocturnal. Two thirds of the world's Chameleons are found here; we should see many species, from the smallest to the largest, on our visit. Human expansion has impacted heavily on Madagascar and many species are in very real danger of extinction. We will visit some of the top birding sites on the island and, with some luck and good weather, hope to reach our goal of nearly 200 bird species. Our guide, Errol de Beer, has traveled all over Madagascar and is very familiar with all of the best sites. Nonetheless, he will also rely on local guides who we will use at many of the sites, taking advantage of impeccable knowledge of their home turf. ~ Expenses of a personal nature such as laundry, phone calls, extra drinks and snacks, souvenirs, etc. Deposit of $950 with registration. Balance is due on or before June 15, 2019. Registration form may be downloaded from a link at the bottom of this page. Trip insurance is HIGHLY recommended.